By Chris Nichols on Tuesday, March 13th, 2018 at 6:19 p.m.
During his visit to the U.S.-Mexico border near San Diego, President Donald Trump made this confounding claim: "The state of California is begging us to build walls" along the border. Deep blue California is "begging" the federal government to build a wall? Really? The president’s statement seemed false on its face, but we dug in for a fact-check just to make sure. "For the people that say 'no wall,' if you had no walls over here, you wouldn’t have a country. The state of California is begging us to build walls in certain areas. They don’t tell you that. And we said no, we won’t do it until we build the whole wall." We asked Democratic Gov. Jerry Brown’s office about Trump’s statement. A spokesman for the governor indicated he had no idea what Trump was talking about. "We gave up trying to translate – and fully understand – the tweets and extemporaneous thoughts of the president long ago," Evan Westrup said in an email. "California is not "begging" you for this wall. Your wall is a waste of money and is literally impossible to complete. It will look more like a piece of swiss cheese than an insurmountable barrier. It's nothing more than a 6th century solution to a 21st century problem." "Not exactly sure where he got that from"
Immigration and environmental experts said the state of California, at least in recent years, hasn’t expressed any desire to build a border wall. "Not at all," said Louis DeSipio, a UC Irvine political science professor who studies immigration. "I’m not exactly sure where (Trump) got that from. Perhaps he heard it from some local sheriff who wants a wall." "It’s been increasingly difficult to make sense of the things this administration says, and President Trump in particular," added Randy Serraglio, a spokesman for the Center for Biological Diversity. The environmental group and state government were part of a recent lawsuit against the federal government’s plans to build the wall in California. Federal judge Gonzalo Curiel rejected their argument about environmental concerns and ruled the Trump administration could move forward on the project. "I have decided that sections of the Wall that California wants built NOW will not be built until the whole Wall is approved. Big victory yesterday with ruling from the courts that allows us to proceed. OUR COUNTRY MUST HAVE BORDER SECURITY!" National news outlets attempted to make sense of that tweet, without success. A Politico article assessed the tweet this way: "It was not clear what Trump meant in suggesting that 'California wants' a border wall 'now,' since the state opposed his administration’s efforts. White House spokespeople did not immediately return emails seeking further clarity regarding the president’s post and whether the administration intends to delay work in California even after securing a judicial victory." We found an interview with one top California Democrat, Attorney General Xavier Beccera, indicating he could support a barrier at the border, but no statements where top leaders are "begging" for a wall. Becerra told the Los Angeles Times in September 2017 that he supports "doing what our experts tell us we should do" on border security, whether that includes a physical barrier, more troops on the ground or virtual enforcement through aerial detection or surveillance. On the day of Trump’s California visit, Becerra was stronger in his response to Trump. He told Fox News, "We’ve always called for border security on a bipartisan basis, but building walls, that’s a medieval technology that really doesn’t have a place in the 21st century"
Perhaps Trump meant Californians, and not their state government, want the wall? But even in that case, the president is wrong. A September 2017 survey showed 68 percent of likely voters in the state oppose building a wall along the entire southern border. The White House responded to a request for evidence after publication. We have included its response at the end of this fact check. President Trump claimed "the state of California is begging us to build walls in certain areas," along the border. "They don’t tell you that." There’s no evidence backing up the president’s mystifying statement. If anything, California and its Democratic leaders are some of the strongest opponents of Trump’s border wall, at least as he’s promoted it. Some state leaders rejected Trump’s claim outright while others said they had no idea what he was talking about. 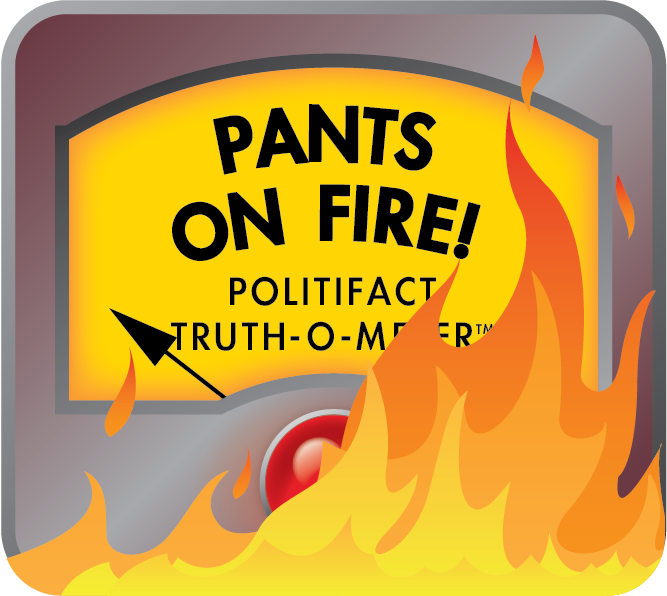 We rated Trump’s claim Pants On Fire. UPDATE: A White House spokesman responded to our request for evidence after publication. He cited "great efforts" by the federal government "to collaborate with local and state authorities" on a two-mile border wall replacement project in Imperial County east of San Diego. The federal government plans to replace an existing barrier in that county with a 30-foot high bollard-style wall. 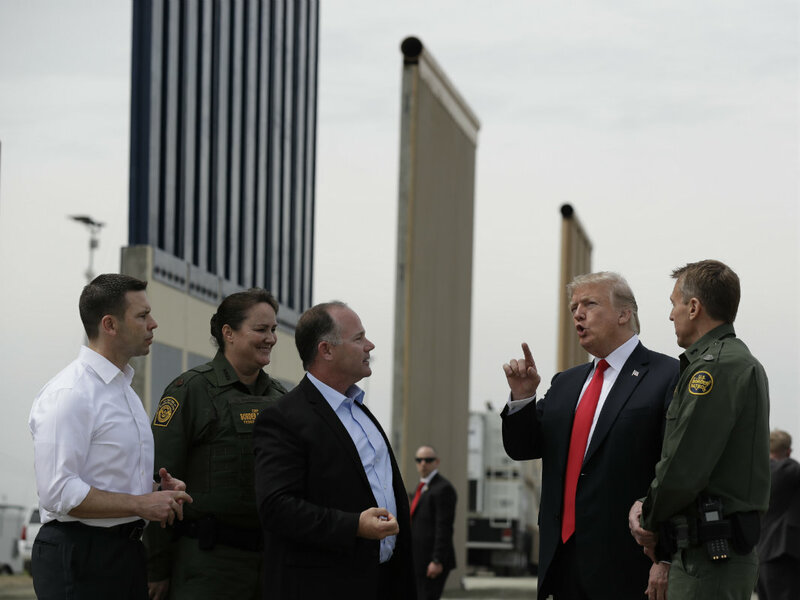 The spokesman also cited a budget plan to create "14 miles of new border wall system that will replace existing secondary fence in the San Diego Sector." While this show the federal government’s interest in replacing sections of border barriers, they do not support or even speak to Trump’s claim "the state of California is begging to build walls" along the border. Our rating remains Pants On Fire. Published: Tuesday, March 13th, 2018 at 6:19 p.m.